The Tango snack vending machine offers exactly what every hungry consumer is after: a wide range of snacks and a system defined by ease and simplicity. Designed to reflect the classic vending machine structure, it has space for a large array of options: 8 different savoury snacks and 16 sweet treats, as well as 8 bottles and 8 cans, with an overall capacity of 416 different items. This scale is great news for both you, the owner, and the end users: for them, it means variety, with something to suit every craving; for you it means easy maintenance as stock will not run down too quickly. 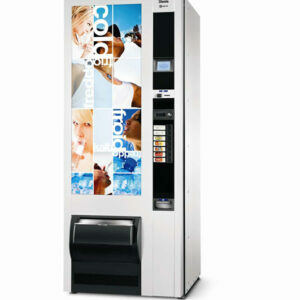 We find the Tango vending machine to be one of the most flexible items available, as you can stock it to suit the needs of your own company. Perhaps most impressive is how the Tango machine manages to offer this great selection without appearing too bulky. 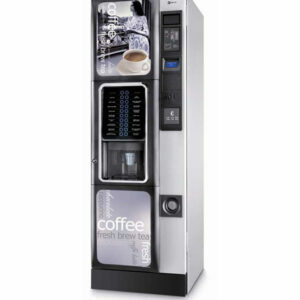 As a medium/large sized floor standing vending machine it takes advantage of every bit of space to ensure that it can offer as many products as possible while still maintaining an appealing appearance. The designers have also made sure that all items can be seen clearly, ensuring that customers will be tempted in by the site of their favourite snack. It is designed to be in keeping with Necta’s Opera and Festival products, so if you’re looking to install a collection this may well be the perfect design for you. A lot of technological prowess has gone into ensuring that this machine is efficient, easy to use, and easy to operate. 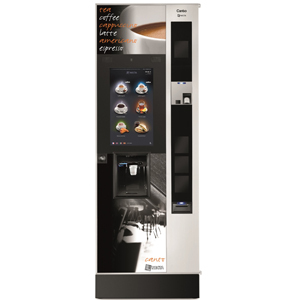 The inclusion of a new ETL system (Electronic Tray Labels) will be particularly useful for operators, since it means that it is easy to update the system and give customers all of the necessary information; in turn, this increases the ease and speed with which users can interact with the Tango vending machine and get their hands on a tasty treat! You’ll also find a touch sensitive key pad, rolling price display, and systems in place to make management of the machine incredibly simple. Best of all, its efficient cooling unit will help you to save money by reducing energy consumption. 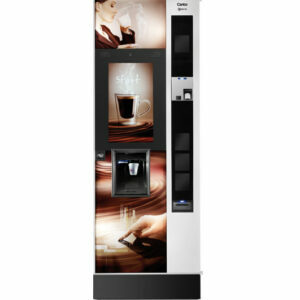 Who Can Benefit from the Tango Floor Standing Vending Machine? Hospitals – patients and visitors alike will benefit from the convenience, although try to limit unhealthy options. Hotels – give your guests an alternative to room service. Colleges and Universities – halls of residence, lecture theatres and study spaces are all places where students can benefit from a quick boost. Offices (across all sectors!) – we’re seeing an increasing trend for vending machines in the work place, since offering your employees snacks on-site is both cost-effective and a good way to improve morale. Pubs/Bars – a contemporary, flexible alternative to bar snacks. 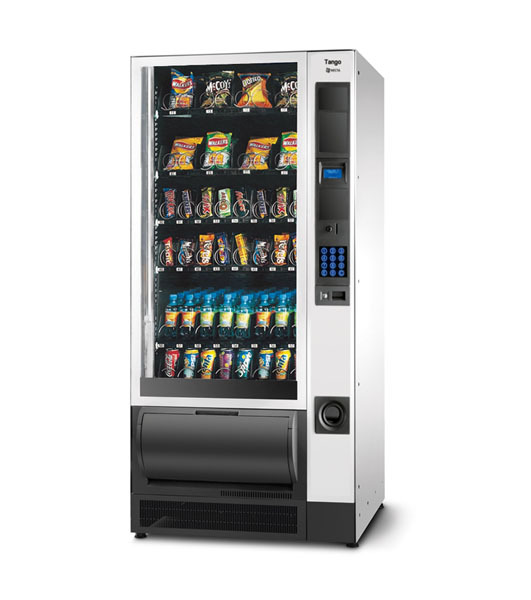 Gyms and Leisure Centres – the Tango snack vending machine will always be a popular choice for anybody avoiding a post work-out crash. 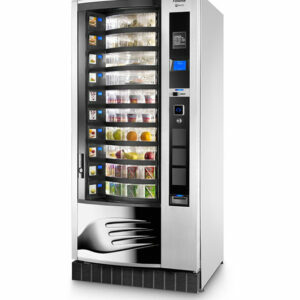 If you think the Tango vending machine is exactly what you need to satisfy your appetite, you can get in touch with us and place your order today – or find out more about everything that this great product has to offer. We’ll also be more than happy to discuss other options if you think your needs may be better fulfilled by an alternative machine.